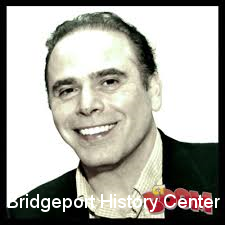 For years now, the Grassroots Historians program here at the Bridgeport History Center has invited historians from all walks of life – be they enthusiasts, archivists, students, academics, or someone who just loves one topic so much – to make use of the collections, write about what fascinates them, and raise awareness of the rich material within the Bridgeport History Center. The articles span a variety of topics, all centered around Bridgeport collections. Bridgeport native Andy Piascik is an award-winning author who writes for many publications and websites. He is the author of three books the most recent of which, the novel In Motion, was published earlier this year by Sunshine Publishing. He can be reached at andypiascik@yahoo.com. 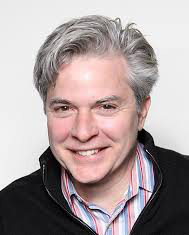 Eric D. Lehman teaches creative writing and literature at the University of Bridgeport, and is the author of several books, including Bridgeport: Tales from the Park City; Becoming Tom Thumb: Charles Stratton, P.T. Barnum and the Dawn of American Celebrity; Afoot in Connecticut: Journeys in Natural History; and A History of Connecticut Wine; and ; A history of Connecticut food : a proud tradition of puddings, clambakes and steamed cheeseburgers. You may contact him at elehman@bridgeport.edu. Steve Thornton is a retired union organizer and community activist who has led strikes and organizing campaigns in Connecticut for the past 35 years. He has trained hundreds of people in nonviolent direct action and thousands of workers to become rank and file leaders. Steve has worked to build coalitions between various groups working on economic, racial, and environmental justice. His international work includes making solidarity connections with working peoples' struggles in Havana, Belfast, Managua and Oslo. His work as an organizer is featured in Social Movements and Activists in the USA by Stephen Valocchi. Michael Bielawa is a baseball historian and poet. He is the author of Bridgeport Baseball; Wicked Bridgeport; Wicked New Haven; and From Fairfield to Newfield: the Baseball Dream of Orator Jim O’Rourke. He is a Youth Services Librarian at the Bridgeport Public Library. Richard Sattanni has been a writer for over nine years. He did an editorial column entitled “Remember When” for the “Bridgeport News” and a column for “The Fairfield Independent. 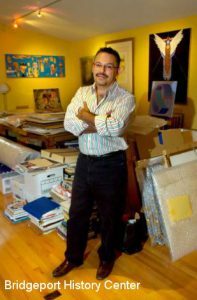 “ He has published two books with Americastarbooks.com and recently was published by “The Senior Newsletter” of Bridgeport. He has posted numerous stories on Figment.com that readers can enjoy free of charge. 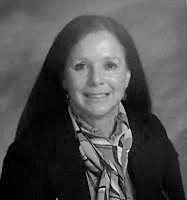 Sattanni is retired and looks forward to many more writing endeavors. Robert Novak has been studying local history for over 20 years, and is currently an independent community historian at hometownhistoryct.com. He is employed as a lieutenant in the Bridgeport Fire Department, is an officer in the Bridgeport Firefighters' Historical Society, and wrote four books including "Images of America - Bridgeport Firefighers". Charles Brilvitch is the former Bridgeport City Historian and is the foremost expert on the architectural history of the City of Bridgeport. He is the author of Walking Through History: The Seaports of Black Rock and Southport, and A History of the Golden Hill Paugussett Tribe. 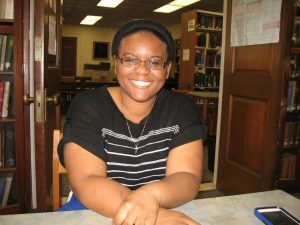 Michelle Black Smith is a curator, cultural historian, and divinity school student. She received her Bachelor’s Degree at Princeton University with a major in Art History, and her Master’s Degree with Honors at S.U.N.Y. Fashion Institute of Technology with a major in Museum Studies. Black Smith has either acted as guest curator or consultant to numerous museums, arts organizations and cultural and educational institutions, including but not limited to, the Smithsonian Institution, Anacostia Museum, Cooper-Hewitt National Design Museum, Motown Historical Museum, Henry Ford Museum, Jazz Museum at 18th and Vine, Black Fashion Museum, and the Bridgeport, CT Public School system. She is a lecturer at schools and libraries, and institutions of higher learning. Black Smith resides with her family in her home town of Bridgeport, where she is a co-founder of the city’s first charter elementary school. Robert Foley is an independent scholar working on Bridgeport history topics. He is an advocate of preserving primary source documents and using new media to generate awareness on local history. Britney Murphy is currently a PhD student at the University of Connecticut. Her area of interest is 20th Century Urban American History. In May 2017, Britney received the Connecticut Celebration 350th Scholarship from UCONN, for her research on the Mount Trashmore removal campaign. 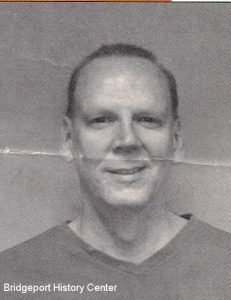 David Koch is an instructor of history at the Housatonic Community College. He has written and lectured extensively about the Civil War. 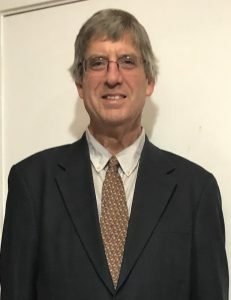 Jeffrey Johnson is a longtime Professor of Music at the University of Bridgeport in Connecticut. 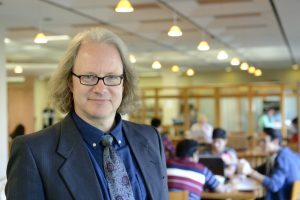 A lecturer and author, he has published four acclaimed books on music theory and performance practice with Greenwood Press and Dover Publications. He is host of a regular classical music radio program on Sunday mornings on WMNR and is producer of Evening at the Opera on Tuesday nights. He and his wife live in Bridgeport. You can contact him at jjohnson@bridgeport.edu. 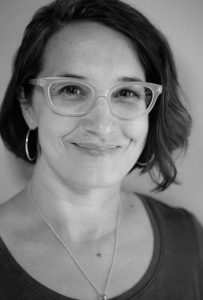 Sonya Huber teaches creative writing and directs the Low-Residency MFA Program at Fairfield University. She's the author of five books, including Opa Nobody (University of Nebraska Press, 2008), an investigation into her family's German past. Chelsea Gazillo is currently servicing as an AmeriCorps VISTA volunteer with the Bridgeport Food Policy Council and the Bridgeport Farmers Market Collaborative through the University of Connecticut Extension Food Justice Project. 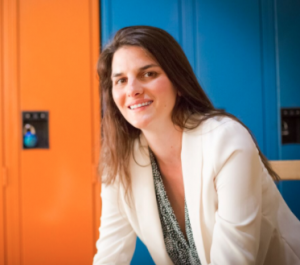 She is also a Candidate for a Masters of Art in Sustainable Development with a focus in Policy Advocacy and Analysis from SIT Graduate Institute in Brattleboro, VT. Her area of interest includes looking at the intersections of race and class within the United States Food System. She is also passionately invested in advocating for food chain workers rights and food justice.